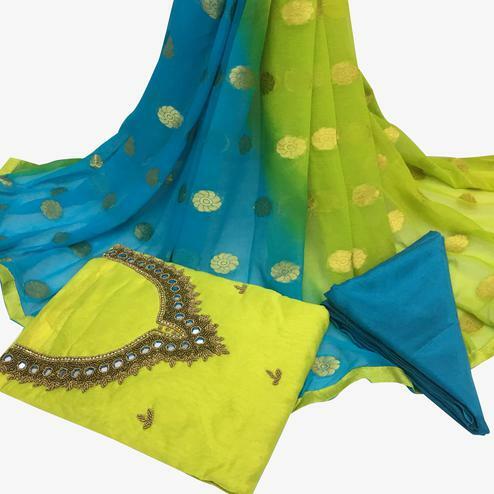 Stay ahead of the current trend just by stepping out in this breathtaking green and yellow dress material, it's beautifully prettified with embroidery. 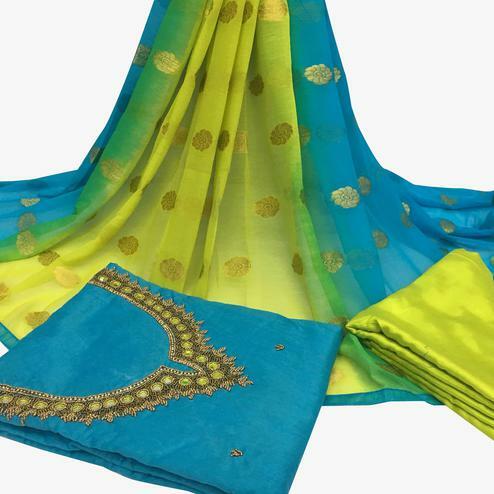 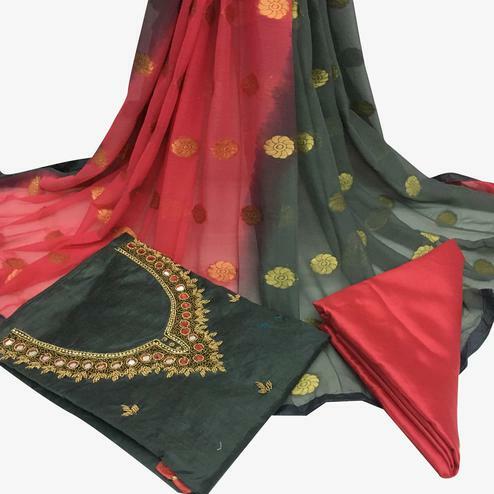 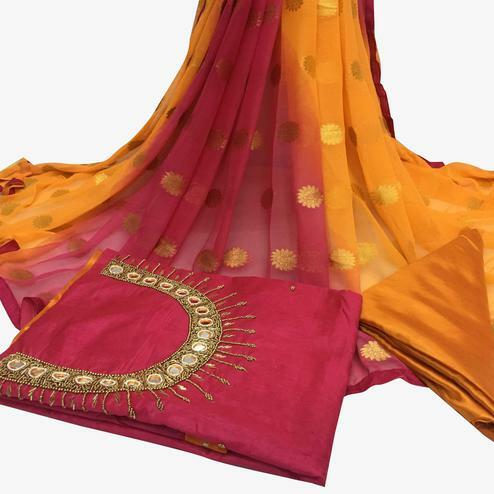 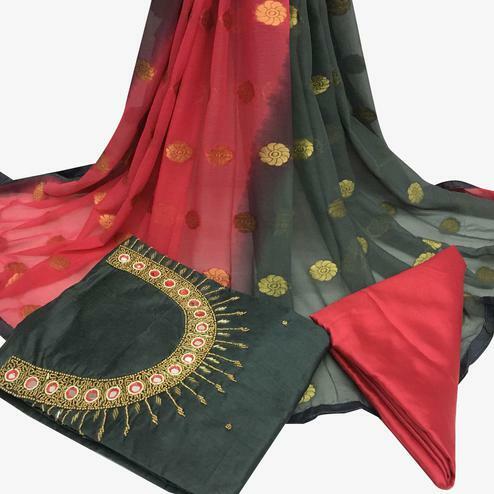 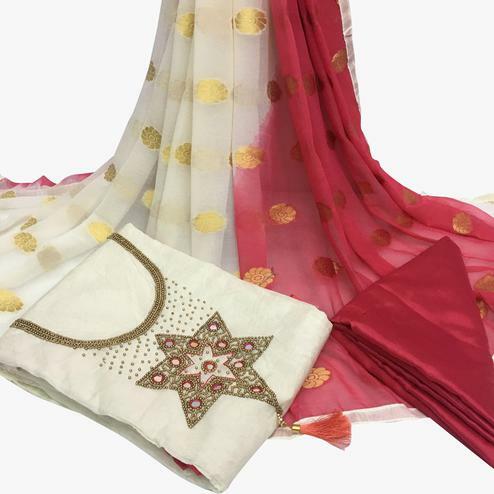 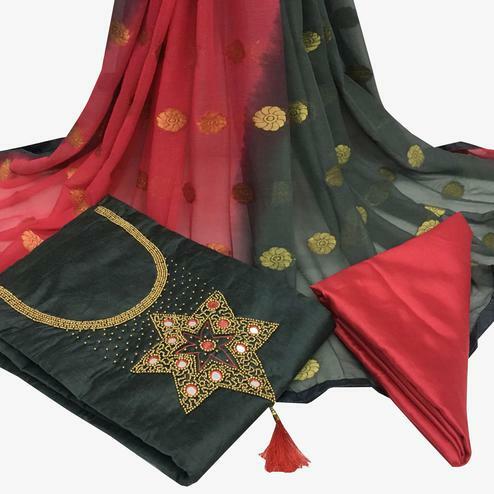 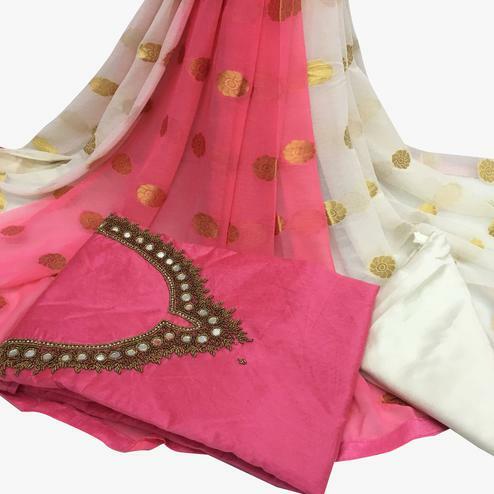 The outfit consists of cotton jacquard top, cotton bottom & chiffon printed dupatta. 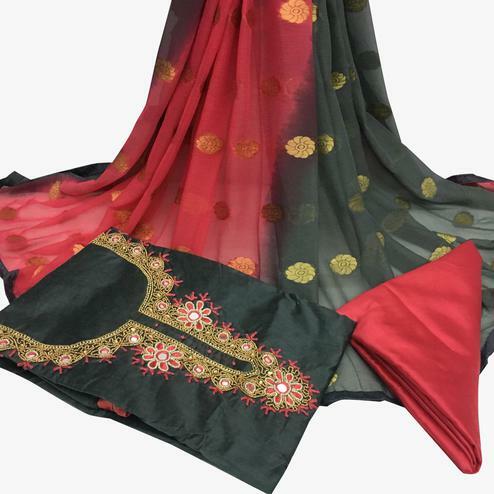 The cotton kameez and bottom will offer you great comfort, when stitched into a suit. 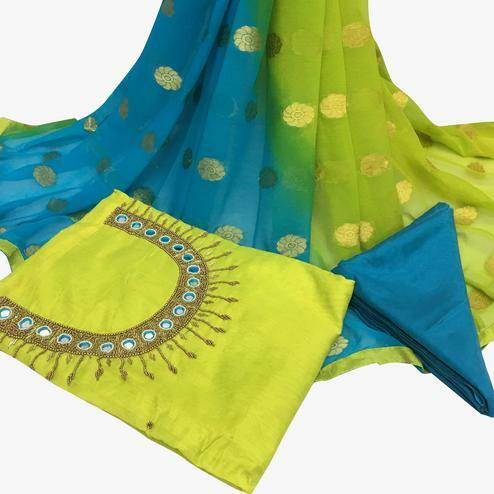 This attire is perfect for casual outing & social get together.